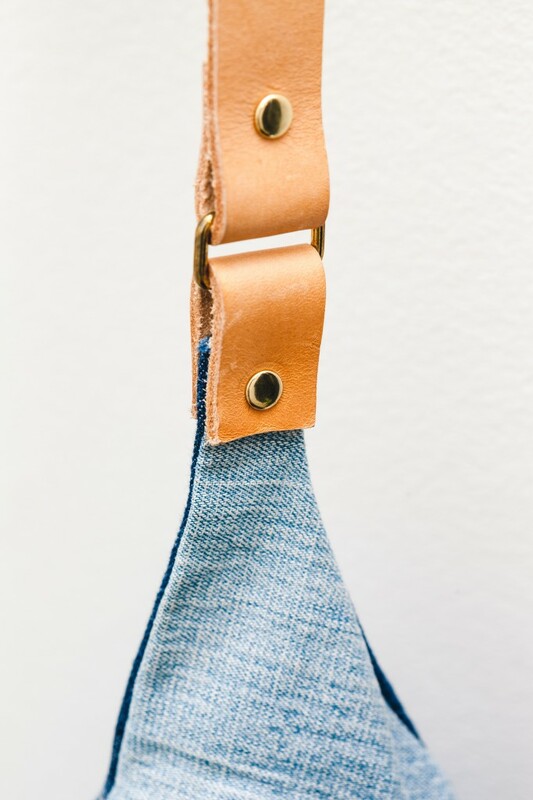 This bag is made by pieces of recycled denim jeans and beautiful tanned leather and brass trimmings. 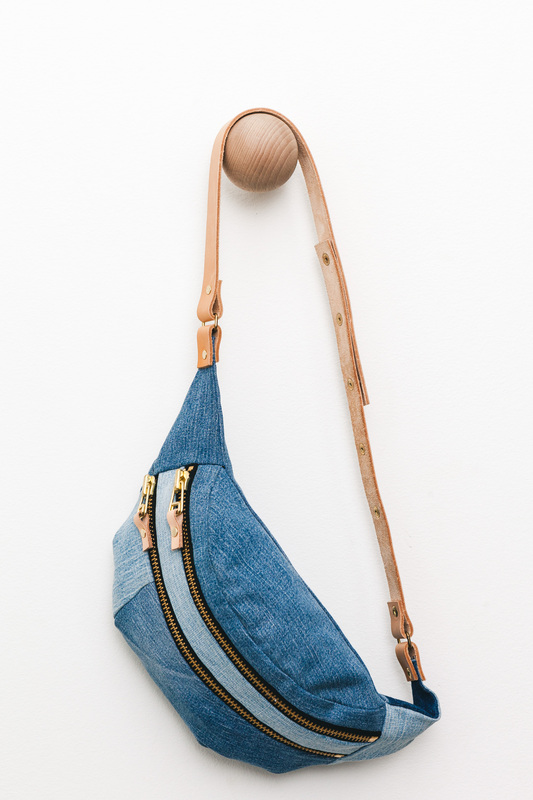 Our bumbag has space for all your everyday gear and is perfect to take on the go. 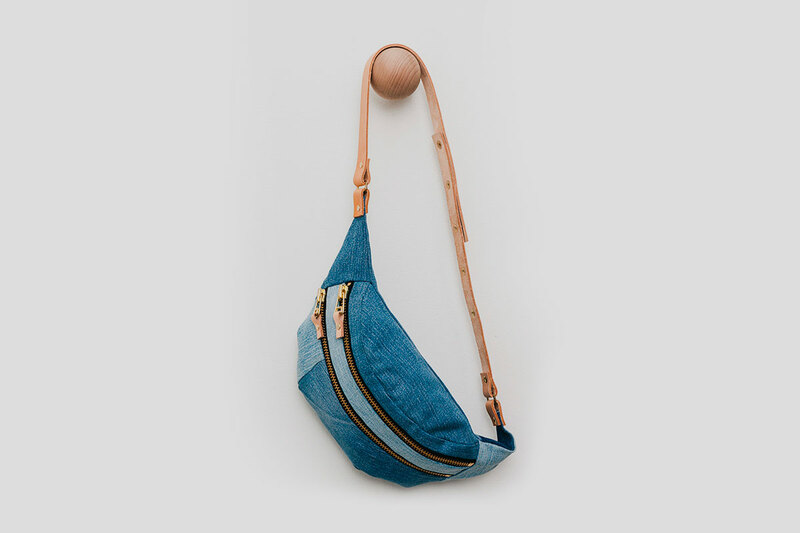 Wear it across body for a relaxed and cool look.